A young belly dancer makes a turn. Some motion blur, focus is sharp on the face. A belly dancer performs at a local show. 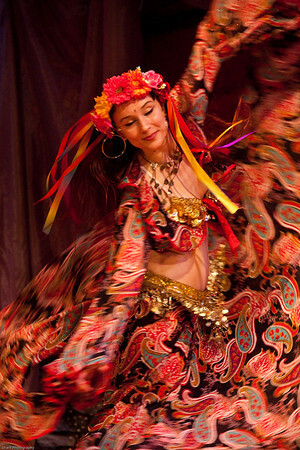 A woman dressed in a retro belly dance costume makes a turn. The face is sharp, some motion blur on the costume. 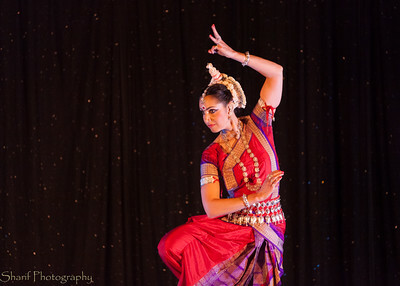 Revital Carroll, a dancer in the Odissi style from India, performs in a show at a local theatre.